What are borrowing base facilities? 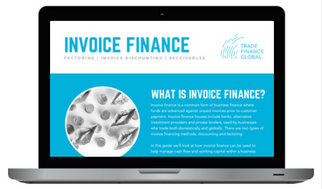 Borrowing base facilities are a type of trade finance, and more specifically a type of working capital facility. 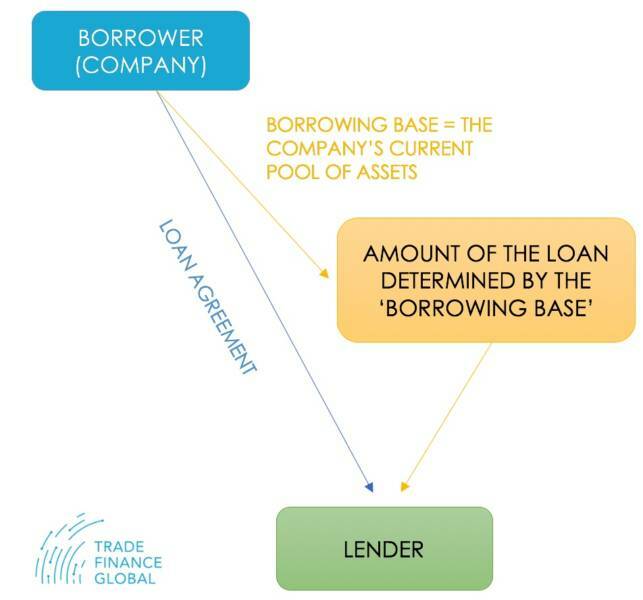 Its structure relies on the principle that the amount of money which the borrower can borrow is based on the value of a pool of assets held by the company, referred to as the ‘borrowing base’. In other words, the amount of credit granted will be determined by the value of the company’s current assets. The pool of assets can vary from time to time, meaning that the credit will vary in accordance with the assets’ value. This type of financing is mainly resorted to by producers of commodities who process raw materials into finished products. This financing will be provided for the purposes of purchasing, storing, transporting and selling. Generally, a borrowing base facility will have a duration of one or two years, considering that it can be extended. The pool of assets upon which the borrowing base is evaluated, is also known as collateral. This can be defined as assets that the borrower pledges to the lender as a security of the loan. Collateral is primary comprised of account receivables, inventory and equipment, although other properties can be pledged. In order to calculate the maximum amount of the loan, which is determined by the value of the borrowing base, the ‘margining’ method is used. Firstly, as for classic loans, the lender will assess the borrowing company strengths and weaknesses and evaluate the borrower’s risk. In detail, the calculation of the borrowing base requires several steps. It will be needed to value each type of asset used as collateral. At first, the inventory will be appraised on the basis of its real value at the time of the valuation. In a similar fashion, the company’s equipment will also be estimated at cost value, taking into account any depreciation. Then, accounts receivable will be evaluated by adding amounts outstanding to the company. Following the margining method, a discount factor, representing the fraction of the collateral that will be lent, will then be determined by the lender based on the evaluated risk. Finally, this discount rate will be multiplied by the value of the collateral, resulting in the borrowing base, i.e. total amount of the loan. To illustrate this process, the X company has $50,000 of inventory, $30,000 of equipment and $100,000 of accounts receivables, resulting in a collateral’s value of $180,000. If the lender has determined a discount factor of 75%, the maximum amount of the loan granted to the company will be equal to 75% of $180,000, i.e. $135,000. What are the advantages of this type of financing? Having a calculated borrowing base for the loan appears as a more secure financing for lenders since the loan concerns specific assets. In case of default, lenders will have the first claim in these assets, ensuring them to the loan money back. Further, owing to the structure of borrowing base financing, the borrowing base can be adapted according to the assets of which the company pledges to the lender. Then, it can be adjusted downward when the value of the collateral decreases, to protect the lender from any default. Likewise, if the collateral increases, for example when additional inventory is acquired, the borrowing base will be able to increase up to a certain limit. Consequently, the availability of the loan can be monitored daily, allowing this financing structure to fit with the accurate situation of the borrowing company, thus bringing flexibility and more security for the lender. This type of asset-based financing can be an essential help for growing companies since they provide cash to support its growth or protect the capital used to fund the growth by allowing an increase in receivables or inventory. What are the limitations of asset-based financing? On the other hand, borrowing base financing may have some limitations. Firstly, in comparison with traditional loans, asset-based loans cost more to the borrowing company, as they have higher rated and fees. Secondly, the borrowing company will be subject to controls by the lender regarding the collateral. Indeed, the lender will need to do regular monitoring of the collateral, for instance, cash or sample of invoices, to ensure of its condition. Further, the borrower may be compelled to send reports concerning the condition of the collateral. Sometimes, the lender may have to take back a part of the company’s collateral in case where the borrowing base is importantly decreasing. Finally, in case of default, as the assets are the base of the loan, the lender has the right to seize the assets at issue in order to recover the money loan. Borrowing base facilities is a type of financing structure for producers of commodities, by which a company can pledge some of its assets to a lender. The value of this pool of assets, called the ‘borrowing base’ will constitute the amount of money loans.